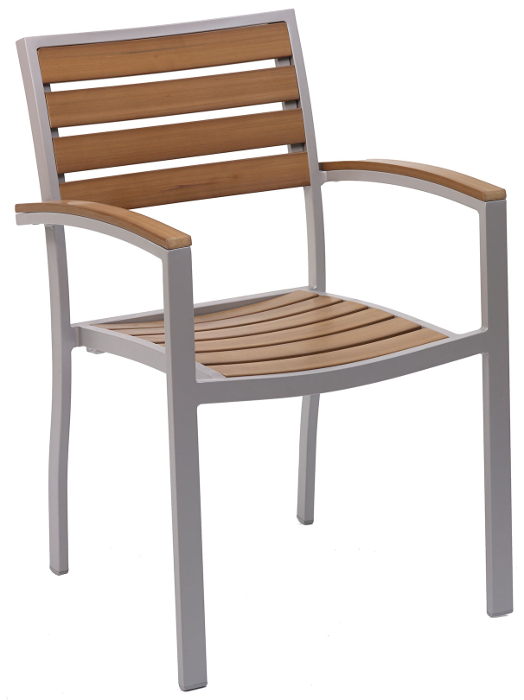 Synthetic teak arm chair with black or silver frame This chair will outlast any natural teak chair on the market today. The panels are made from teak colored synthetic resin. Seat Size 17.25" x 19.25"